Comments: Uconnect 5 inch touchscreen , Class IV Hitch Receiver, 20 inch Aluminum Wheels, Remote Keyless Entry, Soft Tri-Fold Tonneau Cover! Our 1500 Classic's trim level is Express. This Ram 1500 Classic Express is a hard-working truck and a great value. It comes standard with stainless steel exhaust, aluminum wheels, fog lamps, an AM/FM radio with a USB port and an audio aux jack, air conditioning, a front armrest with three cup holders, heavy-duty shock absorbers, tow package with trailer sway control, and more. 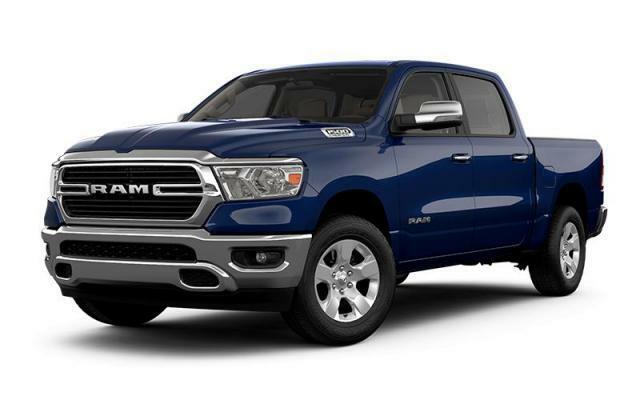 This vehicle has been upgraded with the following features: Uconnect 5 Inch Touchscreen , Class Iv Hitch Receiver, 20 Inch Aluminum Wheels, Remote Keyless Entry, Soft Tri-fold Tonneau Cover, Siriusxm, Led Bed Lighting. View the original window sticker for this vehicle with this url http://www.chrysler.com/hostd/windowsticker/getWindowStickerPdf.do?vin=1C6RR7KT4KS522965. We've discounted this vehicle $2500. Total rebate of $14358 is reflected in the price. Credit includes up to 25% of MSRP Discount. 4.29% financing for 96 months. Payments from $500.07 monthly with $0 down for 96 months @ 4.29% APR O.A.C. ( Plus applicable taxes - Plus applicable fees ). Incentives expire 2019-04-30. See dealer for details.